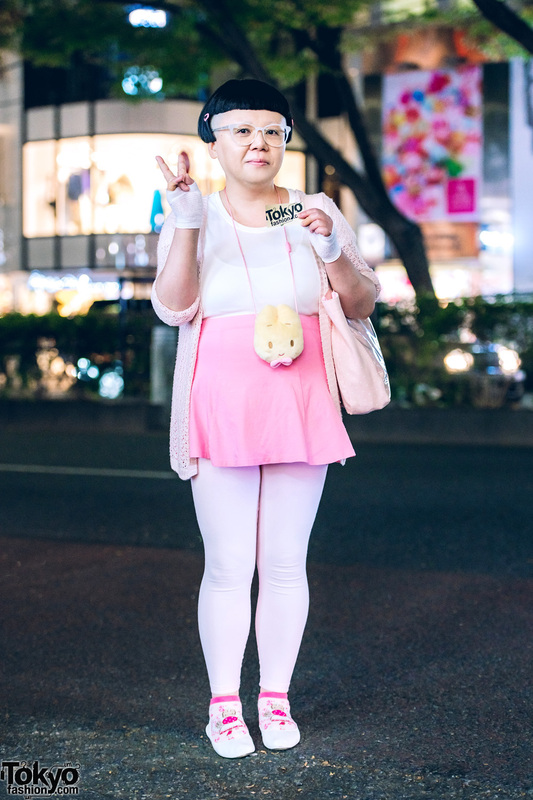 Pink and white streetwear style in Harajuku. 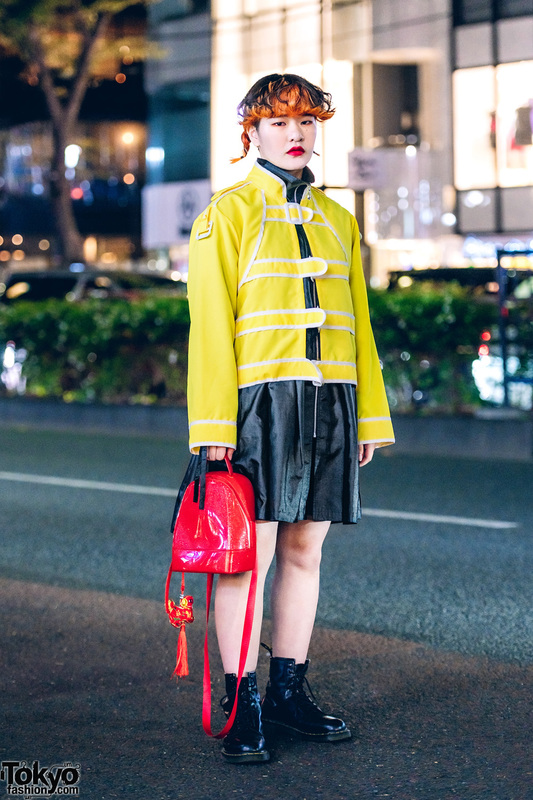 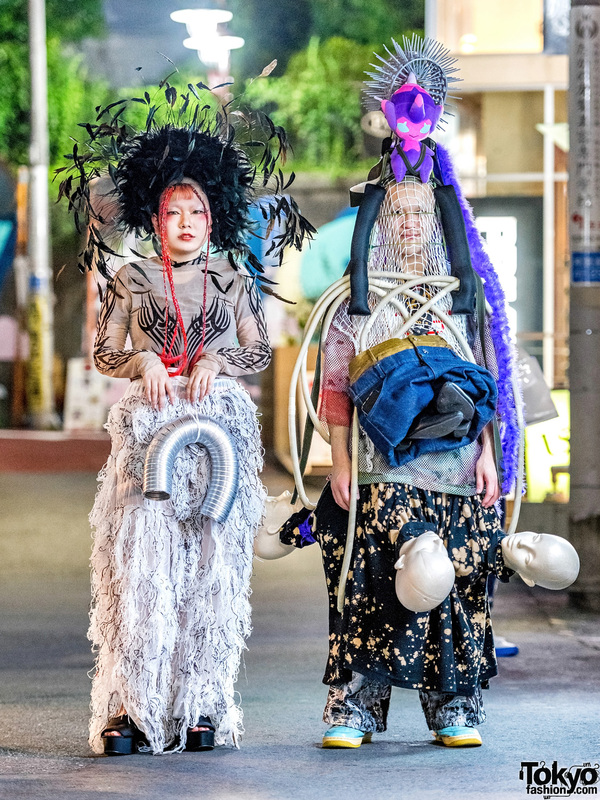 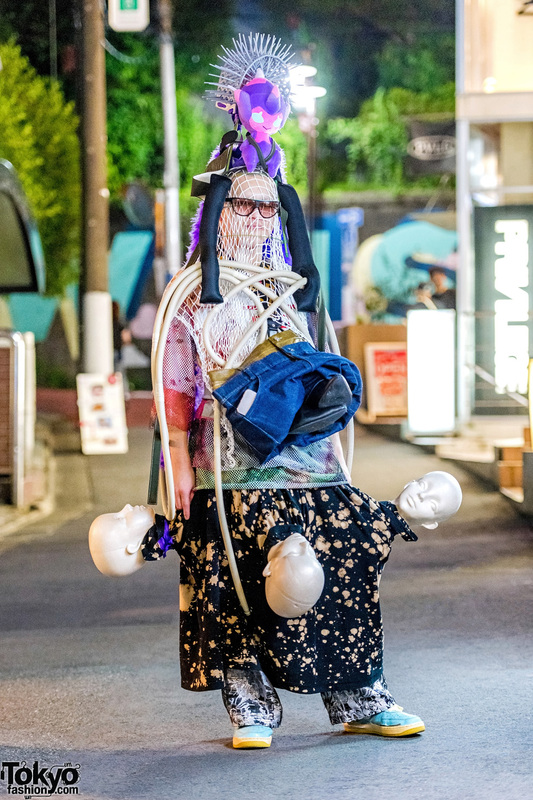 Harajuku guy showcasing DIY avant-garde street fashion. 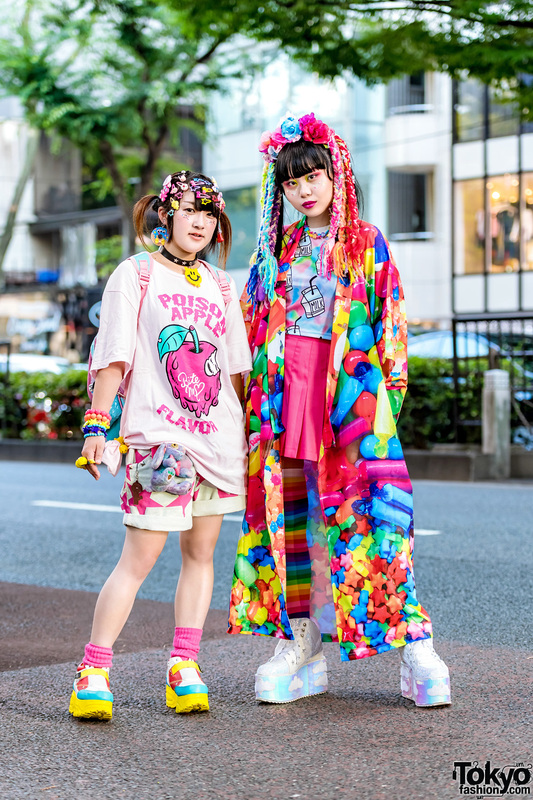 Kawaii Harajuku street style featuring a twintails hairstyle, sheer vintage top, polka dot dress, unmatched socks, and cute plush creature.